Heinrich-Wilhelm Ahnert was born on 29 April 1915 at Ziegelheim near Altenburg in Thüringen. Ahnert participated in the Polish and French campaigns as a Reconnaisance pilot. In spring 1941, he transferred to the Jagdwaffe and 3./JG 52 based in Holland. By September 1941, he had four victories to his credit.  Relocated to the Eastern front with 3./JG 52, Ahnert was particularly successful during the German summer offensive of May 1942. In May and June, he claimed 30 victories. He recorded his 50th victory on 9 July 1942. On 23 August 1942, Ahnert engaged Russian Pe-2 twin-engine bombers in combat over Koptewo. His Bf 109 G-2 (W.Nr. 13508) “Yellow 9” was hit by return fire from the bomber’s gunners and he crashed to his death. 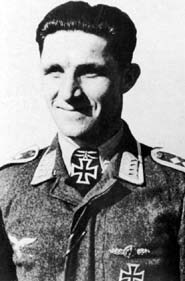 Oberfeldwebel Ahnert was posthumously awarded the Ritterkreuz on 23 August. Heinrich-Wilhelm Ahnert was credited with 57 victories. He recorded 53 victories over the Eastern front.